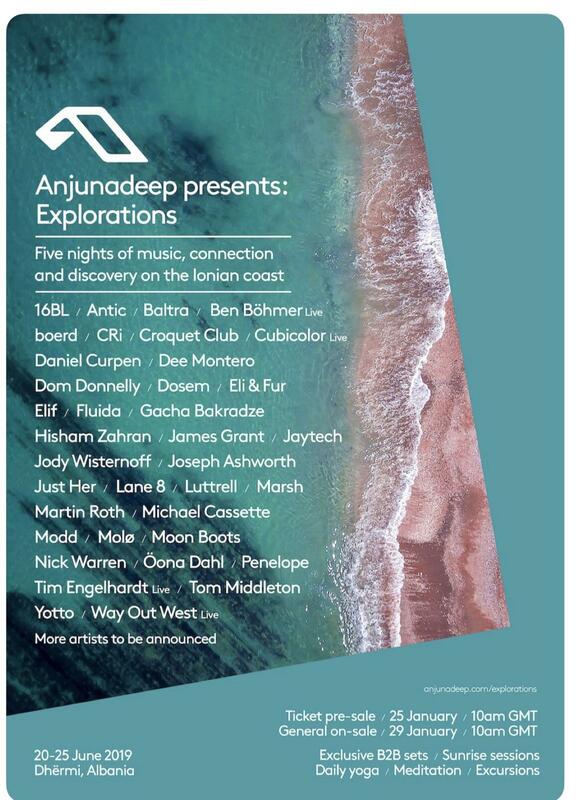 Last week, the beloved deep house label Anjunadeep announced its own destination festival called Explorations. After the announcement, not much additional information was released. However, fans didn’t have to wait long. Today, we know everything we need to know about one of the most anticipated events of 2019. When the announcement of the event was made, not much info was included. We didn’t know where the festival would take place or who would be playing it. That information arrived this past weekend. Explorations will happen from June 20-25 on the beautiful beaches of Dhermi, Albania. If you’re going to be lucky enough to attend, you’ll have the opportunity to get daily beach massages, meditation sessions, and yoga sessions soundtracked by select Anjunadeep artists. Around the beaches, you’ll find housing accommodations close enough to walk to. There are huts by the sea, nearby hotels, and Air BnB’s around the beaches. Each ticket sold includes accommodations, making the experience as easy as possible. This also allows attendees to easily meet one and other, creating a sense of community and family, something Anjuna excels at doing. If that isn’t enough to make your mouth water, the lineup is nothing short of sensational. Anjunadeep heavy weights James Grant, Jody Wisternoff, Lane 8, Yotto and Luttrell will all attend. Progressive maestros Jaytech, Moon Boots, Ben Bohmer, and Way Out West will also be in attendance. Just scroll down to see the full lineup. Anjunadeep presents: Explorations is the perfect combination of fun, music, and relaxation. This will be one unforgettable experience. Presale tickets go on sale January 25, while general tickets go on sale January 29th. Make sure to sign up for presale tickets and announcements here. Check out the trailer and lineup below and let us know if you plan on attending the event.